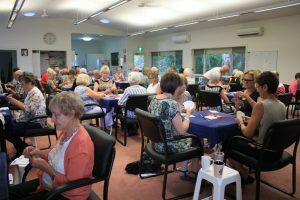 Kiama Bridge Club is a busy, active, healthy bridge club, with the five competitive sessions and two teaching sessions held each week and members also attending a range of competitive and social events throughout the year. “The competitive sessions are generally straight pairs events, although our calendar does include teams events, inter-club events and High/Low events where more experienced layers act as mentors. There are also “quiche night” and “pizza night” sessions. 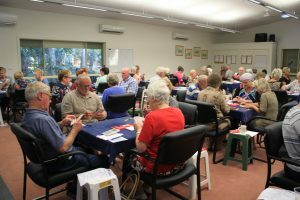 “We also participate in Nation Wide Pairs, Australia Wide Pairs, the Under 100 MP’s Championship, the South Coast Autumn Teams and host a Novice Swiss Pairs Congress as well as special days for events such as the Melbourne Cup and Christmas luncheon. Wayne says the club’s hard-working volunteers had made a real difference and were the secret to their success. “I could say that the Kiama club is very fortunate to have its own modern, stand-alone clubhouse, but that would be underplaying the many, many years of hard work by members to see that happen. And the fact that it is a structure that is debt free is a testament to the efforts of those many members. “We have a wealth of hard working volunteers, many of whom go about their work unnoticed. 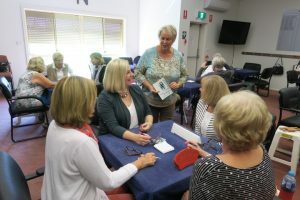 These volunteers range from new members, to more experienced members, through to our much-respected life members who are still contributing to our club in so many ways. 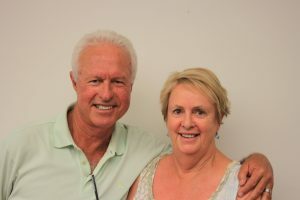 Wayne says over the past few years, the club greatly appreciated the input and support of Joan Butts, the ABF Teaching Co-ordinator, as the club’s teaching program greatly contributed to the club’s success. 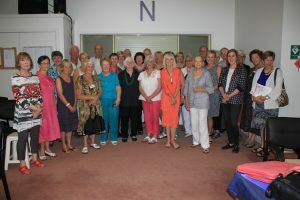 “The Kiama club has wonderful, talented teachers and is indeed fortunate to have two ABF certified teachers among them. Our “students” are taught the most current bridge theory. 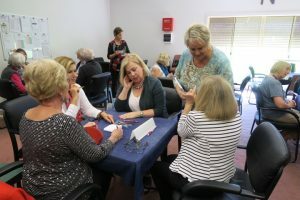 “At the club, we teach not only bridge play but also bridge etiquette and we work at dispersing many of the bridge “myths” or “furphies” which take on a life of their own as “fact”. All of these efforts have made Kiama an attractive club for both new and experienced players. So much so, the club’s biggest challenge going forward is managing the growth in member numbers.